Become one of the nearly 1.2 million participants that have gathered at the BolderBOULDER since 1979. 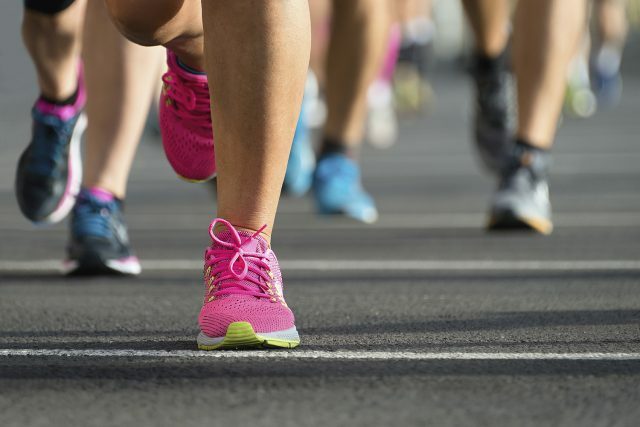 Whether you’re a runner, jogger or even a walker, we encourage you to put your running shoes on and become a part of “America’s All-Time Best 10k”. BolderBOULDER knows how to throw an incredible celebration with the country’s largest Memorial Day tribute, International Pro Team Challenge, bands at every quarter mile, huge post-race expo and much more! Open to the public, FirstBank will be hosting in-branch mobile registrations from April 17 through April 21 from 11:00 AM – 1:00 PM at select Boulder bank locations. Check out the schedule below to find a date and location convenient for you.